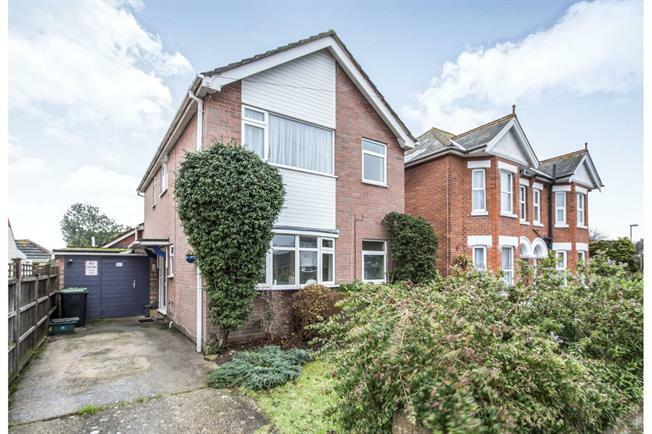 4 Bedroom Detached House For Sale in Christchurch for Asking Price £425,000. A rare opportunity to find a four double bedroom detached house which includes two bedrooms with en-suite shower rooms and fitted bedroom furniture (one on the ground floor), two further double bedrooms and a family bathroom, a spacious entrance hall, a ground floor cloakroom, a spacious kitchen/diner with bow window, useful pantry, a 24' lounge opening onto large rear gardens facing a southerly aspect and including a 16' x 8' summerhouse and shed with power and light. There is gas central heating, uPVC double glazing and your own driveway to an attached garage/workshop.